The Lake Michigan region has persistently high ozone concentrations that are impacted by complex meteorology and significant transport of pollutants. 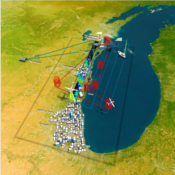 The overall goal of LMOS was to better understand ozone formation and transport around Lake Michigan to assist researchers and air quality managers who study, predict, and manage ozone concentrations in the region. 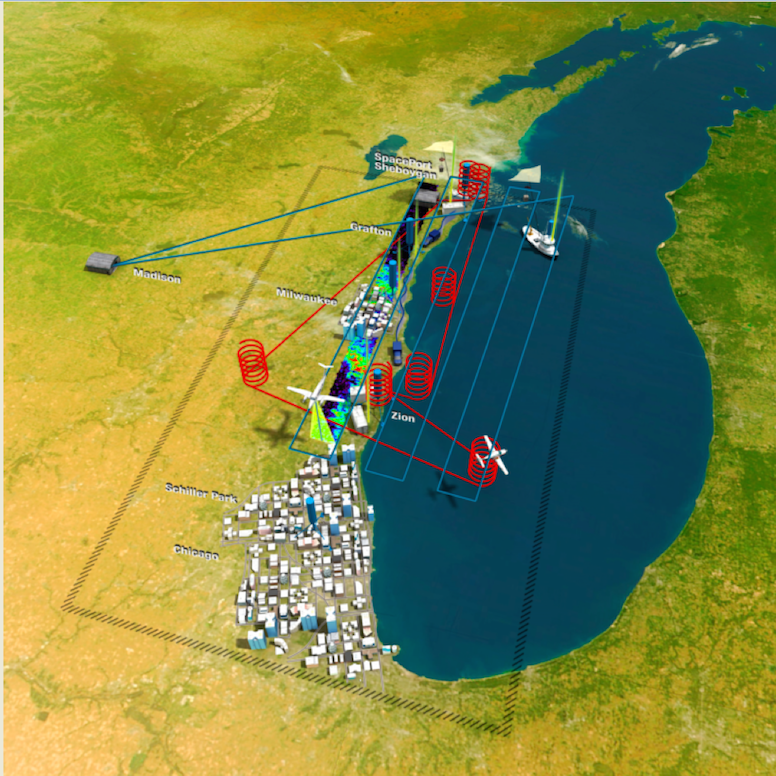 Two particularly challenging study areas are understanding the factors that determine the size, location, timing, and intensity of ozone-rich air masses, and understanding the details of the chemistry and meteorology that create the sharp gradients in ozone concentrations often observed between the lakeshore and nearby inland locations. Field activities were conducted from May 22‐June 22, 2017 and included two aircraft (one for remote sampling and one for in situ profiling), two ground based super sites (Sheboygan, WI and Zion, IL) outfitted with remote sensing and in situ measurements, three mobile sampling platforms measuring lakeshore‐inland ozone concentration gradients or conditions on the lake surface, and additional ground‐based remote sensing instruments collocated at several other shoreline monitoring locations. Air quality and meteorological forecasts provided flight planning guidance and in‐field evaluation of model prediction skill during the study. The LADCO Modeling Results page presents AMET plots comparing CMAQ simulations of the LMOS 2017 field campaign to observation.